Having an adequate telephone system for your hotel gives you the opportunity to provide your guests with additional facilities which not only add value but also provide unmatched customer service. A good telephone system for your hotel is no doubt a significant differentiating factor in such a highly competitive and customer-centric industry. So, whether you are a small hotel or a big luxury hotel, choosing a phone system that is tailored to the needs of your hotel allows you to save on costs while maximising on your resources and staff. How Much Do Telephone Systems for Large Hotels Cost? How Much Do Telephone Systems for Medium Hotels Cost? How Much Do Telephone Systems for Small Hotels Cost? A majority of hotels use either VoIP or PBX technology. 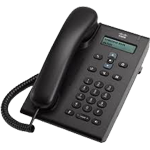 PBX Phone Systems are more traditional phone solutions. They are still in use as they are reliable. Small hotels and Bed and Breakfast settings find these kinds of phone systems quite useful. VoIP phone systems, on the other hand, are more advanced and digital. They are cloud-based and offer different advanced features as well as improved quality of calls. In this next section, we will compare modern telephone systems from different suppliers. 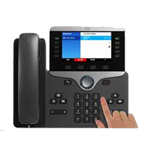 The information below seeks to give you insight into the best phone systems, their key features and their suppliers. With NEC phone systems for hotels, you can rest assured that communication will be smooth and uninterrupted. Your guests will enjoy wireless broadband with high-speeds for communication. 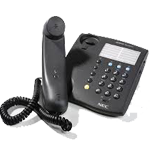 NEC’s excellent telephone systems are a brilliant choice for your hotel. The facilities in your hotel-restaurant, front desk, housekeeping, or concierge, for instance, can be easily accessed using one number from the guest phones. 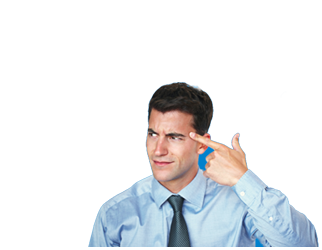 The numbering of the extensions can match the numbering of the rooms up to 3 or 4 digits thus making the phone system functional and easy to operate. 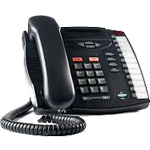 For more than 30 years, Mitel has been providing telephone systems for hotels. Mitel offers open systems solutions which not only protect the legacy telephony investment but also benefit from digital and new applications, as well as, IP devices. A good phone system ensures that staff are reachable whenever and wherever. The hotel industry is particularly sensitive. Primarily because of the stiff competition in this industry. It is therefore essential to provide superior quality services. Phone etiquette encompasses excellent guest service from managing the privacy of the guests to addressing them by their names to making sure that they can access all the hotel’s service at any given time. A quality telephone system ensures this is possible. It is highly suitable for hotel reception. Cisco provides telephone systems for hotels that integrate hotel management systems, call accounting, and voicemail. They offer various solutions including video, voice, voicemail, and messaging for both staff and guests. 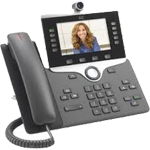 What’s more, guests can be able to make affordable long distance and local calls using IP phones from Cisco. 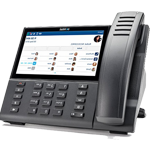 The phone system is impressively scalable and can support about 50 locations, 2500 devices, and 1000 users. They are a long-standing well-established telecom company that guarantees to provide quality telephone systems for hotels. Below is a sneak peak of what to expect from their phone systems. Any thriving hotel business will attribute its success to customer satisfaction. Good news is, telephone systems for hotels from this company will go a long way in making sure that your guests are satisfied. It would make sense to want to improve your revenue streams where possible. Having quality phone systems for your hotel will increase your guest’s desires to spend on hotel services such as room service, local, and international calls. Do you need a telephone system quote that is tailored to the needs of your hotel? Get in touch with us, and we will provide you with the best quotes in the market. The truth is, a large hotel establishment will cost you a pretty penny. This is because of some reasons among them, a large reception area, more rooms, and additional services which will all require extra contact points. The table below gives you estimated costs of phone systems for such a large establishment. Depending on your needs, the total cost can either decrease or increase. It goes without saying that phone systems needs for medium-sized hotels are more than for small hotels. The services you offer will basically determine the number of equipment you will need. The table below gives cost estimates of a medium-sized hotel. However, your actual cost is dependent on your hotel needs. Firstly, a small hotel will need less equipment compared to a medium or large hotel. B&B’s fall in this category. A major phone investment you will need if you own a small hotel will be phone systems for the reception desk and rooms. The exact number of phone systems will depend on the types of services you have. The table below shows average prices depending on the requirements of a small hotel. Put in mind that the best way to get actual quotes for your hotel business is by talking to us. We have all the essential tools and skills necessary in ensuring that you find the perfect phone system for your hotel. We will get you attractive and unbeatable quotes for telephone systems for hotels from the best suppliers. All you need to do is to contact us then leave the rest to us.